In 1983, a young Australian nurse named Helen McCue, a committed member of the Australian Nursing Federation, was working as a nurse educator with the World Health Organisation in the Middle East. Returning to Australia later that year, she took a proposal inspired by her experience in the refugee camps to the then ACTU President Cliff Dolan. Helen’s proposal was for the establishment of an international solidarity organisation in Australia. She had been inspired while working in the Palestinian refugee camps alongside nurses from Norwegian People’s Aid, the overseas aid arm of the Norwegian trade union movement. Impressed by their focus on skills training, Helen felt that the Australian union movement could also make a difference in the lives of workers and marginalised peoples around the world. With Cliff’s support, Union Aid Abroad-APHEDA was established in 1984. Self reliance, not charity Union Aid Abroad-APHEDA’s international program has developed from a rights based approach. Our work aims to build self-reliance through support to educational and training projects for workers and their organisations. Over 40 training projects, working through 30 separate project partners in 15 countries, assist many different communities in Southeast Asia, the Pacific, the Middle East, Southern Africa and the Caribbean. Support for these projects comes from many individual union members throughout Australia, the Australian Council of Trade Unions (ACTU), unions and workplaces, as well as from the Australian government aid agency, DFAT. 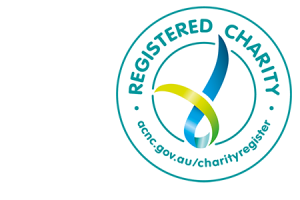 Union Aid Abroad – APHEDA is fully accredited with the Department of Foreign Affairs and Trade, and is a Registered Charity with the Australian Charities and Not for Profits Commission. Union Aid Abroad – APHEDA is also a member of the Australian Council for International Development (ACFID) and a signatory to the ACFID Code of Conduct. As a signatory, we are committed and fully adhere to the Code, conducting our work with transparency, accountability and integrity.